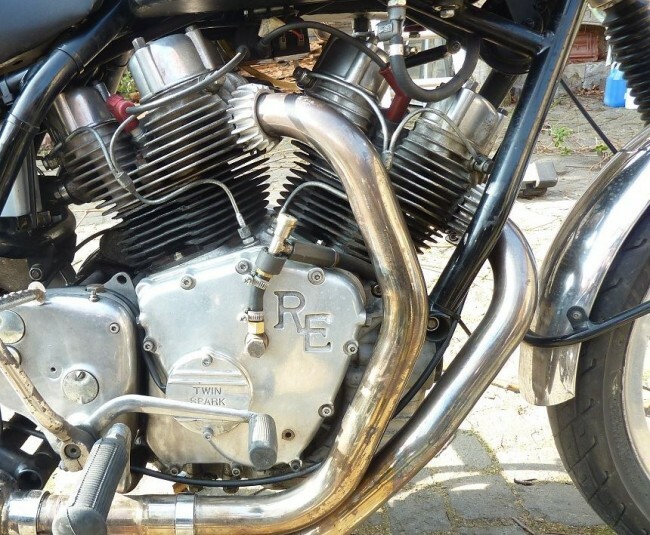 From time to time, among Royal Enfield enthusiasts we see roar about bringing a V-twin engine in Royal Enfield. There is no official words from Royal Enfield if they are even working on one. 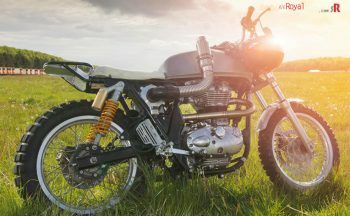 However, in one of the recent article in a Auto magazine, Royal Enfield Spokesperson were quoted saying that they will not compete in bigger engine anytime soon and are more interested in their own niche. 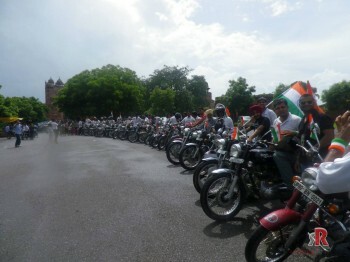 But this lackluster behavior of official Royal Enfield can’t stop Royal Enthusiast to build their own. Infact, there are noticeable work already in the field of V-Twin out of Royal Enfield Singles, we already know about Musket V-Twin by Aniket who is offering production version of his bikes in both 700cc and 1000cc. 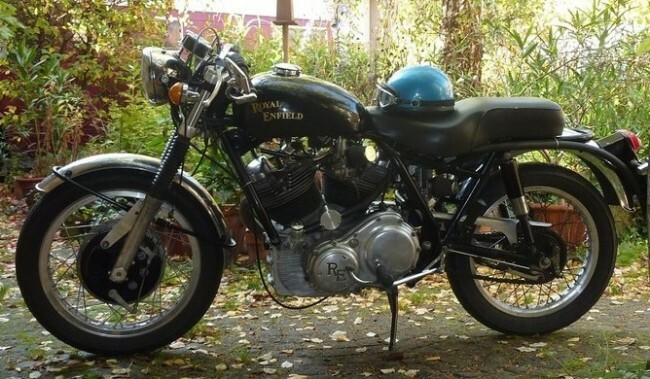 There is another V-Twin project from RE by Carberry Enfield from Australia which is now defunct due to its rising costs and slow process. Though they did sold some production version and you can still find few running in Australia. But again nothing much for India. India, which is by far the biggest market for Royal Enfield and have biggest fan base here due to various reason has lot to be desired when it comes for Royal Enfield V-Twin in India. Importing one could be nightmare as already custom V-Twin bike costs a lot more than regular bike as well as enormous import duty levied by Indian Govt. on import of CBU vehicles. But there is good news, long before Carberry and Musket V-twin, there was a Royal Enfield Venture as Norcroft which was shelved due to rising cost and practical feasibility of producing such bikes has been revived and have production base in India. This project was started by Bill Hurr and Richard Hurst, longtime friends with a shared interest in motorcycles. Experience of various Triumphs, BSA’s and Nortons, etc followed by Moto-Guzzis, Ducatis and a plethora of Japanese machines left both with a firm notion of their ideal machine. 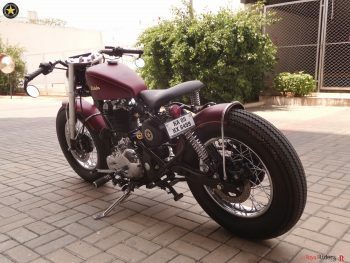 To build custom V-twin out of Royal Enfield single was a mammoth task, there were many problems to overcome, such as how to arrange the timing drive, finding space for the front carburettor, clearance for the rear exhaust pipe, etc. but eventually they came up with their first prototype. Infact, their second prototype is still running and going good. However, this project was shelved like Carberry because of tight budget and dejected monetarily benefits. This is May 2014 picture of the Norcroft working in India on the engine. Now they call it Rise of Phoenix as they are reviving. 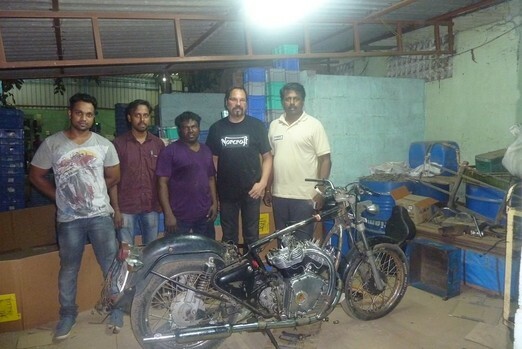 Since, the project was dormant, there were two guys from Germany who were interested in Royal Enfield based V-Twin, they even tried to work with Carberry at some moment by providing them help financially and production but it never worked out. So they turned their attention to Norcroft. They located Bill Hurr and even visited him in the UK, seeing the original Norcroft for the first time. After some discussion, a new team was formed, consisting of Bill, Andreas and Mathias along with their friend Uma from India. They decided to restart the project and made plans to update the engine and build it in India, the present home of Royal Enfield. 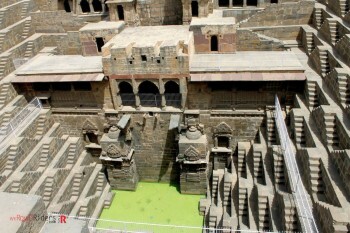 They have used aluminum pattern instead of wooden which as per them is more common. 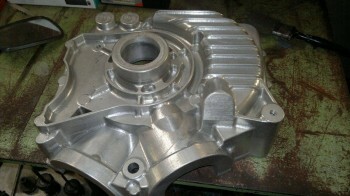 The process of pattern machining. 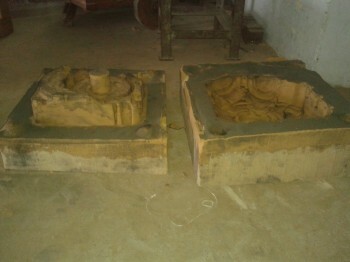 Sand moulds in which liquid aluminum will go. 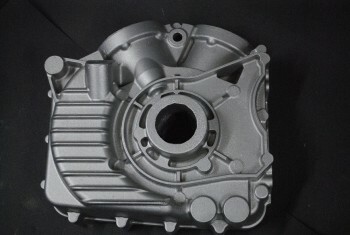 A driveside crankcase for Norcroft V-Twin Engine. Hence the bike is being worked upon in India. They had first revived the original Norcroft prototype and then created team, decided to work in India as it would provide them cheaper production and better resources being current home of Royal Enfield. They are ready, they have molds, machining and everything in line to commence production of commercial Royal Enfield based V-twin engine bikes. However, they say still they are working on it and once they have everything in place, they will make official announcement and may start taking the orders for the bike. 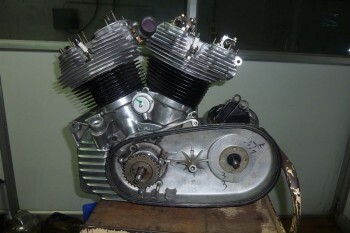 Work in progress on V-Twin engine based on Royal Enfield. 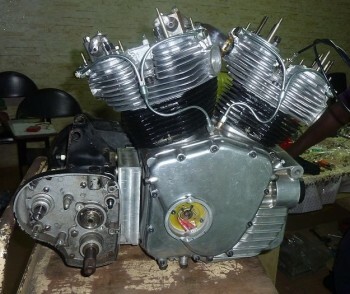 This is Norcroft’s recent work on V-twin which is being prepared in India. Meanwhile here are few pictures of original Norcroft based bike revived. Norcroft bike after a long stretch of riding after first engine repair. Apparently it sound good and looks soild. Looking forward to see it action in the country soon. Hopefully success of their venture can bring real V-twin in India, not to all but at least to some of the enthusiast. 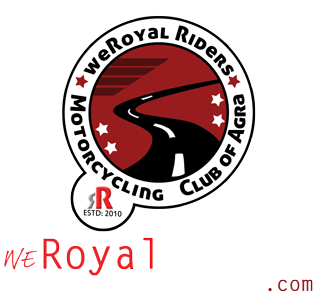 We will keep you updated as we get more information and progress about this V-Twin based on Royal Enfield in India. Your comments, feedbacks are appreciated. How can I find the manufacturers, retailers of this engine? I will forward their details to you. Where can I buy this engine..please let me know the details thank you..!! This company does not answer questions like how much and when is it available and where can I buy it.these are basic questions to a company that wants to do business.why is this? I want to buy v twin engine for my bike…where should i get this in india??? I’m interested to purchase engine and all necessary hardware to modify my bike. 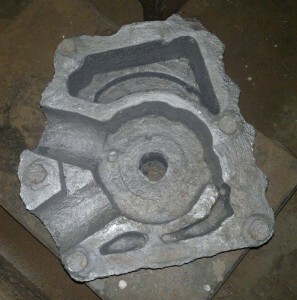 Please send me quotation including engine and all related parts. were can i find this guys in India.. let me know… pls. where should i get all engine parts for v twin engine..
plz send me the details of suppliers..
Why do you keep posting this story,this company does not exist! If it does than tell your readers the information that they are requesting.I suggest you contact them and get to the bottom of it for the sake of your own reputation. This is not a company yet , these people are bunch of creative guys who are trying to achieve something which is not easy. They are trying to make it feasible for general production and we merely shared their vision here on our website. 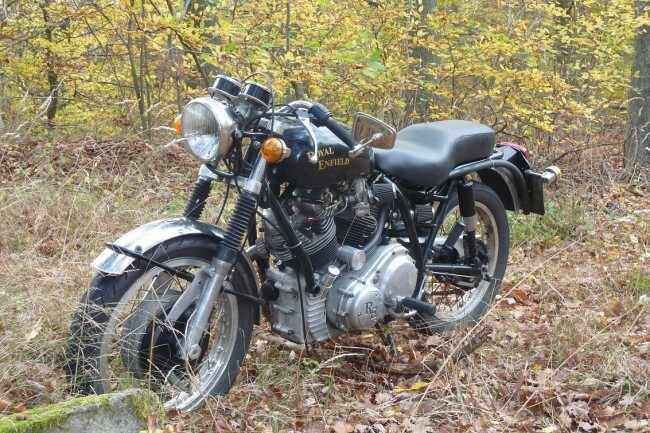 I require one Royal Enfield V2 twin make converted from 500 cc to 1000cc engine. Please mention the cost of the above model. Awaiting reply from your end. 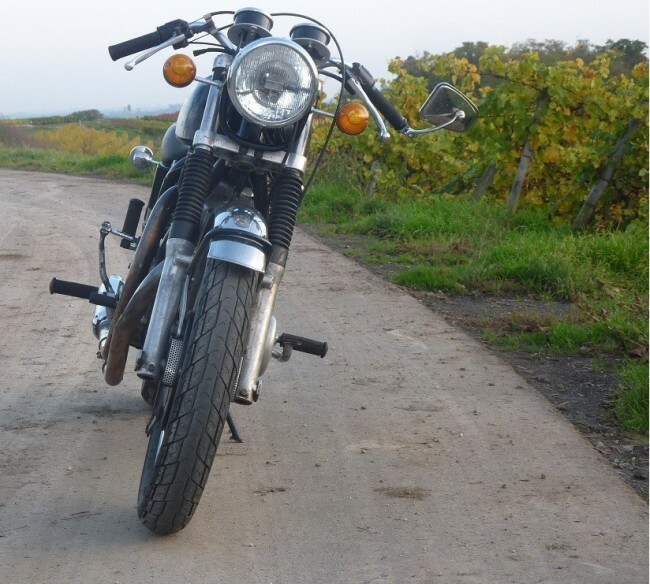 Hi I am interested in building a Royal Enfield with a V-Twin. Kindly send me the details of where I can buy this engine.